Check your .plist files for corruption. Is there a better alternative to PrefCheck? Is PrefCheck really the best app in System category? Will PrefCheck work good on macOS 10.13.4? 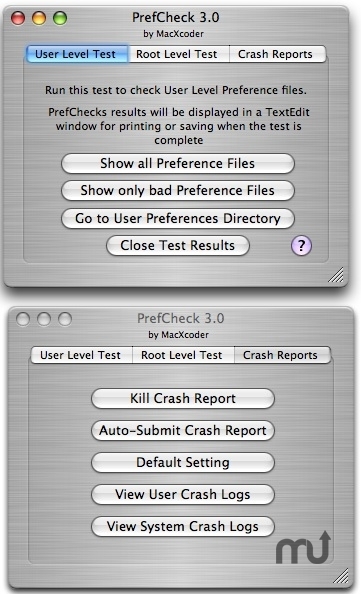 PrefCheck is a utility to check your preference (.plist) files at the User and Root Levels. PrefCheck then displays the results of EVERY file checked in your default Text Editor. It also has the ability to turn off the Crash Submission window or automatically take you to the Crash Submisison Form. PrefCheck needs a rating. Be the first to rate this app and get the discussion started!